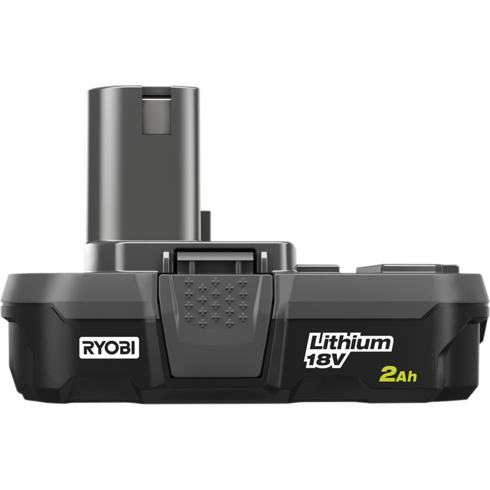 RYOBI 18V ONE+™ 2.0Ah Compact LITHIUM™ Battery 2-Pack is rated 4.5 out of 5 by 2. 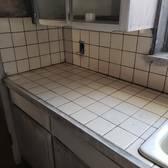 Rated 5 out of 5 by jflowers1818 from Long Lasting and Versatility I bought these batteries along with 5 Ryobi cordless tools. I love how they fit into so many of the tools plus I can switch them out easily. Their charge lasts a long time. Rated 4 out of 5 by RMAp from Good strength I’ve used many Ryobi products, and these batteries work very well. 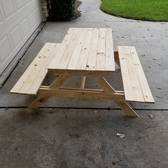 Great for home projects. Light and easy to use. Unfortunately, no strength indicator as on earlier models! 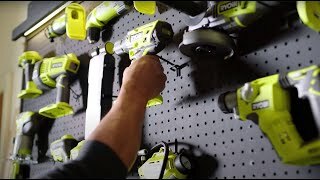 The RYOBI 18V ONE+™ 2.0Ah Compact LITHIUM™ Batteries feature new and improved Lithium-Ion cells, providing the user with up to 1.5X more runtime. Featuring Extreme Weather Performance, these batteries can withstand frigid weather conditions and are engineered to deliver fade-free power for maximum performance.